2016 has been an interesting year. We’ve heard hundreds of albums and we’ve heard lots of good ones, but in comparison to the previous couple of years there has been a paucity of great ones. Nevertheless, there’s always gold to be mined and here are Real Gone’s top ten albums of the year. In 2016, Real Gone celebrated it’s seventh full year online. This year also marked the sixth year we’ve given away new music at the end of the year. Now a staple of the RG catalogue, the free album-length download is looked forward to by a core of our supporters and in turn helps bring new readers and listeners to our site. 2016 hasn’t been quite as notable for new music compared with a couple of years previously, but that’s not to say it hasn’t thrown up some great stuff. On the first of Real Gone’s free compilations for 2016, we take a look at a broad selection of tunes from punk, country, singer-songwriter fare and more… [a selection of metal oriented artists can be found over here]. If you’ve been paying attention to our website over the past twelve months, a few of these names will be familiar. If not, it’s time to say hello to new music. If you find a couple of things to love, our work here is done! 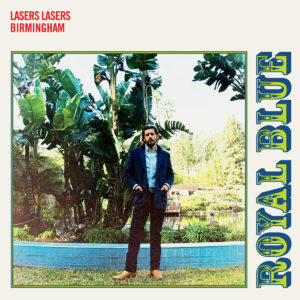 In July 2016, Lasers Lasers Birmingham released a four track EP exploring different elements of country music. While the Band-esque ‘Shedd Aquarium’ was undoubtedly the highlight, each number showed Lasers’ head honcho Alex Owen to be a man with a well-rounded talent. The title cut, ‘Royal Blue’ now has an official video, which you can watch in full below.